This book is about the last things, the novissima, of creatures and the cosmos. It is not a book about the future. It is not a work of eschatology in the sense of an account of the penultimate events which presage the world’s passing away or the affective responses appropriate to this passing away. It is, instead, a book about the possible ‘inglorious’ and “glorious” final ends of creatures and the cosmos. Griffiths returns to a tradition of calling the final ends of creatures novissima (the newest or latest things) inasmuch as he argues that the last things, or the final ends, of creatures are indeed last and final, there being no new thing or novel event beyond them. The book consists of seven parts, with each part comprised of several “paragraphs.” The parts run from the grammar (I) and doctrine (II) concerning final things; to eternity and timespace (III); to the final ends of angels (IV), humans (V), and other creatures (VI); and finally to an imagining of what life before the Lord in heaven is like and what this means for life in the world’s current “devastation” (VII). Structurally, then, what Griffiths offers is indeed an account of the final or last ends of creatures and the cosmos. Materially, however, Griffiths covers a tremendous swathe of theological and philosophical ground in order to elucidate these ends, often doing so in ways highly attentive to tradition and dogma and highly creative in its conclusions. For instance, readers are given a primer in theological method; an account of eternity, the temporality of creatures (with a defense of a species of four dimensionalism), and the relation between them; reflections on atonement, the liturgy, and the Trinity; a phenomenology of being fleshly, epistemological judgments upon “the inner theatre,” and a theological account of lament through Augustine’s reflections on tears in the Confessions; and even a brief defense of political quietism. This list of examples does not do justice to the sweeping range of interwoven doctrines and issues covered in Decreation. In one sense Decreation is a stunning example of systematic theology, and yet its systematic nature is also present in the patient and focused way in which Griffiths outlines and explores different possibilities for the glorious and inglorious ends of creatures. He is clear that what he is offering is speculative and so his positions, while grounded in dogma and informed by doctrine, are simply meant to be reasoned and attractive proposals handed over for further consideration and scrutiny. Briefly put, Griffiths argues that there are three types of last things possible for creatures: annihilation, simple stasis, and repetitive stasis. Annihilation is the creature’s complete unmaking of itself through sin, which leads to the creature’s irreversible and total extinction. Simple stasis, which could be either salvation or damnation, and so either glorious or inglorious, means that post-mortem creatures undergo no narrative, no change, no further novelty. Repetitive stasis, again in either salvation or damnation, describes a cyclical state of affairs which recurs once and again without any change or development. Griffiths lays out his speculative positions clearly and early on in the book: the glorious last thing of animate creatures is a repetitive stasis, the foretaste of which is the liturgy, and the inglorious last thing of animate creatures is annihilation. Given the scope of Decreation, the timeliness of its attention to annihilationism and universalism (topics which have entered broader and more popular theological and ecclesial contexts), the clarity and originality of its arguments, and its genuinely moving and kergymatic prose and vision, Griffiths has given the church—and our symposium’s panelists—much to ponder and discuss. Holly Taylor Coolman questions Griffiths’ commitments to heavenly life as repetitive stasis over against epektasis and to the dimming of one’s inner theater before the liturgy, a claim also addressed and interrogated in Theodora Hawksley’s contribution. 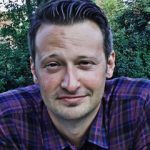 Joe Lenow raises questions regarding the speculative character of Griffiths’ arguments, whether there is a hierarchy of the blessed in heaven, and to what extent the positions in Decreation could serve as an argument for universalism. 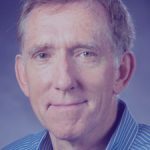 Robert Saler’s piece examines Griffiths’ presuppositions and claims regarding theological method and speculation from a Protestant perspective. James Wetzel brings up the issue of the book’s title (not addressed in the book itself but hinted at in an epigram from Simone Weil) and offers further riffs on heaven, mutability, and forgiveness. That these contributions are in turn charitable, speculative, interrogative, and moving is a testament not only to their quality but also the quality of the work Griffiths has given us and the numerous proposals and questions it contains and raises. 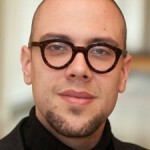 Paul J. Griffiths is Warren Chair of Catholic Theology at Duke Divinity School. OF THE SEVERAL EXCELLENCES displayed in Paul Griffith’s Decreation, none is more salutary than his unapologetic, thoroughly unfashionable embrace of speculative theology. 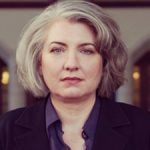 Given the emphases of the present moment—on praxis, on “practices,” on theology’s concrete contexts and its indispensably political implications, on its fundamental rootedness in liturgy and its relationship to the care of souls—some have unfortunately concluded that speculation is entirely unnecessary or even vicious. But this is not so. Griffiths’ work in this volume reminds readers that, although theological reflection arises out of and returns to a world of action, and although it ultimately relates us as whole persons both to God and to one another, it also remains indispensably a work of the intellect. At the same time, this book demonstrates the patience and care that work of this kind requires. Ideas can be tricky, and they require a steady hand. Speculation done well does not hurry to its conclusion, but works carefully and well, and relishes ironing out the small wrinkles tucked away in the corners. Decreation does all this in a way that is unmistakably characteristic of Griffiths. The argument proceeds on the basis of careful definitions, it displays careful logic and, at the same time, it hints at enormous swaths of logical deduction that precede and stand behind the writing. It is idiosyncratic in its concerns, moving in directions that are neither easy to predict nor simple to engage. Time is “pleated,” Griffiths argues. Angels, he insists, although they are not composed of matter, do have mass. This tendency, too, though, is a strength of the work. Precisely in its display of Giffithsian quiddity, Decreation makes its contribution. Claims such as those mentioned can, after all, prevent theological reflection growing stale, as it does when theologians simply rehash familiar positions in familiar arguments. It can serve especially well to spark that venerable and valuable form of theologizing, disputation. The topic Griffiths considers here—the “last things” of various creatures—is also welcome. There is much to consider, in part because this topic depends so heavily on speculation, and thus is likewise unfashionable. Although eschatology has come to play an important role as a sort of limit concept in theology over the last several decades, this sort of direct consideration of the final states of various creatures is virtually unknown in the present theological scene. To do this sort of speculative work on the last things is, of course, no easy task. It involves not only the challenges inherent in speculation itself, but also particular limitations related to the topic. Griffiths himself invokes briefly the term “apocalypse” in connection with last things, and that term captures the difficulty well. The transition from this world to the next, as it is described in the Christian tradition, can be imagined as the lifting of a veil. There is also a real form of hiddenness at work. Theological work in this present age is separated from those final realities by more than time. Given this reality, Griffiths makes the choice to root his eschatological speculation, above all, in the phenomena the church has long understood to be a true foretaste of heaven: the eucharistic liturgy and the liturgical life that it fosters. On this basis, in fact, he arrives at his largest claim concerning the final end of human beings. Having considered three possible ends for creatures—annihilation, stasis, and repetitive stasis—he argues that the third of these is the form of liturgical time, and so it is the best characterization of the ideal state in which human creatures will come to rest. I take this rooting in the liturgy to be a wise and fruitful choice. It is, however, in the extrapolation from liturgy in this age to the life of the world to come that additional questions arise. Griffiths himself notes that speculating on a reality beyond the veil is tricky, and that it involves “ticklish decisions.” Two of the claims of Decreation, in particular, strike me as ones requiring further investigation. The first has to do with the treatment of the ancient doctrine of epektasis. A relatively simple argument is deployed here. The whole of Decreation is based on a central decision to treat last things under the conventional category of novissimis, which means both the “very last” and hence the “most recent” or the “newest.” If an entity arrives at its novissima, then, it has come to the end of novelty; nothing further and thus newer is possible.” To be a creature, Griffiths says, is necessarily to have an end of this kind. Epektasis, on the other hand, elaborated especially in the thought of Gregory of Nyssa, describes humanity’s heavenly state as constituted precisely by eternal progress in godliness. As Griffiths argues it, the category of novissimis allows no room, by definition, for this possibility. Several questions could be raised in response to this argument, but I focus here on just one: does liturgy in this life not suggest otherwise? Repetitive stasis describes well the nature of the liturgy if liturgy is considered apart from any human subjects who are actually performing it. If we are to ask, though, how liturgy reveals the end of human creatures, it is not clear that considering it in this way is helpful. In fact, as we reflect on the participation of human subjects in liturgy in this life, we see that growth in holiness is integral to liturgy’s ideal. In the structure of the liturgy’s repetition, both individual Christians and Christian communities are ideally moved forward, to greater love of God and one another. Drawing near to God in worship shapes the subjects who do so. Perhaps this subjective reality integral to liturgy teaches us something indispensable. Perhaps progress of this kind is actually an intrinsic feature of the dynamic that takes place whenever human creatures draw near to God. Perhaps progress of this kind only intensifies as they draw nearer. A second point deserves some comment, and perhaps only makes clearer what is at stake in this first point. Griffiths proposes that we consider human experience under the philosophical category of qualia, or mental impressions. A sense of one’s own experiences or one’s own “layered qualia,” which Griffiths calls the “inner theater,” is, he argues, slowly erased by the habit of liturgical practice. In fact, he says “the proper end of the liturgical life . . . is the radical attenuation of experience.” Our multiple experiences, he argues, are not only “not us”; they are, in fact, “an artifact of the fall.” In the end, Griffiths argues that, while our true selves certainly do persist in heaven, nevertheless, “the sense we have of who we are . . . is no part of what we will be” (italics added). It is not hard to see how participation in the regular rhythms of liturgy involves precisely being taken up into something larger than oneself. In relation to the “inner theater,” it can indeed prompt a salutary form of self-forgetfulness. If we are to make liturgy our touchstone, though, there are also ways in which we might best describe personal experience not as erased, but as remade. In light of claims such as St. Paul’s in Colossians 1:24—“I rejoice in my sufferings for your sake, and in my flesh I am filling up what is lacking in the afflictions of Christ on behalf of his body, which is the church”—Catholic theology teaches that our sufferings are actually joined to Christ’s sufferings. The Catechism describes concisely the possibility that “suffering . . . becomes a participation in the saving work of Jesus.” The Eucharistic liturgy, the Holy Sacrifice of the Mass, in particular invites participants to unite their own individual sufferings to the one sacrifice of Christ. But what are these individual sufferings if not qualia? And in this union with Christ, are they not being drawn into the great drama of the liturgy in just such a way that they do not thereby simply cease to be our own? We might also think of the litanies of the saints so central to liturgy. Surely we ask the intercession of these saints in such a way that we recall the specific qualia of their lives. The intercession of St. Peter is not undifferentiated, but is the intercession of the one who knew Jesus and betrayed him and went to Rome to die. The intercession of holy father Francis is the intercession of one who kissed the wounds of lepers. But why would the liturgy foster our awareness of particular saints in this way? Perhaps Griffiths will grant that in heaven we will have awareness of others’ experiences as connected to them, although he denies that we will have awareness of our own experiences as connected to ourselves. But again, why should this be? Would we not rather say that to be holy would allow just the same sort of joyful awareness of our own sainthood, in all its particularity, as we have of others? It seems that me that what the liturgy instead teaches is that, in patria, layered qualia and the way they contribute to “the sense we have of who we are” are not simply erased. Rather, like physical wounds, qualia are healed. The martyrs, we could say, do “possess” their scars for all eternity, in a new way, as “possessions” remade and grafted into the eternal worship of God. They are golden crowns that “belong” to their owners precisely as, and so that, they can be continually cast before the throne. Griffiths is rightly concerned to set aside a poverty-stricken notion of the self as “inner theater,” an account of the self as founded on—perhaps consisting entirely of—the gradual accumulation of layered qualia. The logic of liturgy, however, would encourage not a setting aside of any subjective element, not a “decreation” of the self, but rather would suggest a process by which those who lose their lives in fact find them. All this, I would argue, has implications for the method of speculation, which can foreshadow for us just this reality. Speculative theology, as it leads theologians in contemplation of that which exceeds them, fosters a beautiful form of self-forgetfulness. On the other hand, the theologian loves God with his own mind. When all things are made new, why should the theologian not find himself rejoicing in the quiddity of his own particular doxological contribution as much as anyone else? I’m grateful to Syndicate for putting this symposium together, and of course especially grateful to those who took the time and trouble to comment on Decreation. I’ve not done justice to what they’ve written, but perhaps my responses can serve as stimulus for further discussion. It’s interesting to me that my discussion in Decreation of the attenuation of experience by way of the liturgy has prompted the most response, and that more than one of my commentators has perceived and (critically) noted the connection of that thesis with my rejection of an epektatic view of heaven (and hell). I’m not convinced that I’m wrong about either of these matters, but rightness or wrongness is hardly what matters in these discussions. What does matter is the efficacy of the verbal exchange in prompting patterns of thought and writing that otherwise wouldn’t be engaged in. That’s happened for me here, and I’m pleased that it has. 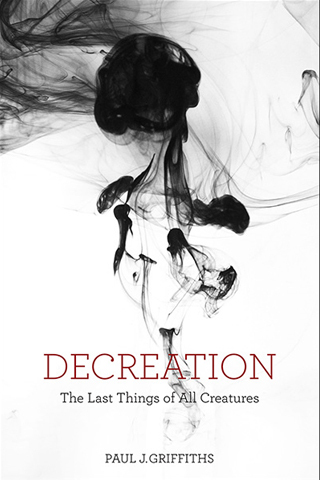 Holly Taylor Coolman has some kind things to say about Decreation, and I’m grateful for them. The issues she singles out for critical engagement are important, and she describes both them and my position on them accurately, so I’m grateful to her for that, as well. I’ll make a few comments in response, about one of the issues only—the question of epektasy—in the hope that we can have further exchange about it. The question of experience, the other topic Coolman raises, is intimate with this one, but I won’t address it in these comments. Coolman and I are at one, I think, on the definitional question. If the epektatic view of heaven (and perhaps also of hell) is right—the view, that is, that heaven, for those fortunate enough to get there, is best understood as forward movement without terminus—then this just means that there is no last thing for any inhabitant of heaven. That’s because there’s always something new, heaven-without-end, and, therefore, no end (terminus, last thing) to any of it. To defend epektasy in this sense is to deny the position taken by the vast majority of Christian theologians who’ve thought about eschatology, which is exactly that creatures do have last things. We differ, then, about whether epektasy should be affirmed, not about what it means. Coolman likes novelty, and thinks there’ll always be more of it for the saved. I find novelty exhausting, and the prospect of endlessly more of it a crushing weight. What I’d like from and in heaven is rest and peace, the delight of seeing the LORD in company with the assembly of the saved. There’s a difference in intuition here which might repay further thought. Is it just a matter of temperament? Is it that some people are so ordered that the prospect of novelty delights them, while for others it feels like a curse? And must the matter be left there? If it must, I’m with Augustine: what I want is to rest in the LORD. But perhaps there’s more to say. Coolman suggests that the liturgy as we practice it here below in the devastation isn’t simply a matter of repetitive stasis; rather, it brings about movement and progress, an increase in the holiness of those who engage in it. Or at least it may. That’s right, I think. But I don’t see that much follows from this. The need for growth in holiness is surely itself an artifact of the fall—what else could it be? All lacks are such artifacts, and the lack of holiness is paradigmatically so. If heaven provides the remedy for what has been wrought by the fall, then among the things it remedies must be any need for increase in holiness. I’m more impressed than Coolman is by the deep structure of the liturgy, which, as it seems to me, signals again and again its repetitively static nature. She agrees about this “if liturgy is considered apart from any human subjects who are actually performing it.” But if the liturgy is the best anticipation we have here in the devastation of what heaven is and is like, then perhaps we ought to take these signals more seriously than Coolman does—and not only about the liturgy as such, but also about our nature as liturgical agents, even here in the devastation. I CAN THINK OF no higher compliment to pay a work of theology than that it returned me to prayer. Without being too bold, I think that one of the reasons Decreation is so rich, unusual and moving is that it owes much to Paul’s own prayer: the confessional mode is never very far below the surface. It is prayer, and specifically the issue of liturgical prayer and its purpose, that I want to address in this essay. In discussing the heavenly last end of human beings, Paul argues that it is characteristic of human beings to categorially and possessively layer our qualia, such that we develop an “inner theatre”—it seems like something for us to be us and, at least in some of our experiences, we are one of the things in our own field of view (222–24). In the crosshairs here are not just experiences in which one consciously feels oneself “playing a part,” but experience more generally—anything that seems like something to me, anything I remark as it passes. Negatively, Paul argues that such self-presence is an artefact of the fall, and that cultivating it may be necrophiliac (236). Positively, he argues that heaven and the joy of seeing the Lord face to face exclude this kind of presence-to-self. In heaven, there is no corner of me left to observe myself; I am completely turned towards God in joy (104, 236). Participation in liturgy, and the formation of liturgical habits over time, is one way in which we can attenuate experience, and foreshadow the ecstatic heavenly state (230–35). Liturgy is, among other things, prayer, and Catholic spirituality evinces two broad approaches to the question of experience in prayer. One, of which John of the Cross is representative, is at best disinterested in experience, and often keen to suppress it. For John, this is because all we imagine depends on creaturely images and tropes and is therefore “most unlike and disproportioned to God”: if we desire the unmediated presence of God we must negate all images.1 It also springs from John’s fierce distinction between God and the creature, which introduces a radical agnosticism about the significance of our felt experience—quite simply, we cannot tell what God is doing from what it feels like to us. For John the journey into God “does not consist in recreations, experiences, and spiritual feelings, but in the living, sensory and spiritual, exterior and interior death of the cross.”2 In the first approach to experience in prayer, then, we deliberately switch off the lights of the inner theatre and wait for God in unfeeling, unseeing darkness. John and Ignatius have more in common than this brief caricature allows, but some questions nevertheless emerge here, which I shall put sharply: where does Paul’s vision of heaven leave us in relation to spiritual experience? Is any attention to such experience at best second-rate, and at worst misguided? Is the Ignatian emphasis on experience, on attention to it and cultivation of it, necrophiliac? Paul’s answer, at least to the second question, would seem to be “yes”: “Experience, the categorial and possessive layering of our qualia, is at best epiphenomenal to the liturgical life, which is also the Christian life, and at worst inimical to it” (236). Theodora Hawksley’s description of two broad families of response to the question of the significance of experience in prayer is lovely and very helpful (to me). It helps me to understand why I’ve always found Ignatius rebarbative and John delightful. Theatrical lights, when turned up high to illuminate what it seems like to me to be me, don’t show me anything very lovely. I’d rather that what they show be gradually removed in favor of the LORD’s glory. That’s no more than an expression of preference, rooted as all such are in a particular history, temperament, and character. Hawksley would say that it might be prideful disgust, a lack of proper gratitude for what I am and what I’ve been given—which might include exactly what it seems like to me to be me. And that’s right: it might. Much of the time, I expect, that’s what it is. The experiences that come, when they do, the layered seemings, might be capable of welcome, or at least of humble acceptance. That’s right too. But I’m not sure how much that view addresses what I was trying to say about this matter in Decreation. There, I took the position that, like it or not, seek it or not, the telos of the liturgy, abundantly signalled in its texture, is exactly toward a turning down of the lights, a diminution of the kind of experience in which it seems like something to me to be me, in which, that is, I grasp at the flavors and scents and textures and tensions and weights of experience as if they were mine, happening to me. They are of course happening to me: they are the evidence in time, inter alia, of the LORD’s love and care for me. But what the liturgy does to me, most especially when I’m suffused with it, is to attenuate possessiveness of them. Gradually, when things are juicing along, liturgically speaking, as they should, those lights darken, and it’s good that they do. Simone Weil puts this rather beautifully: “La joie parfaite exclut le sentiment même de joie, car dans l’âme, emplie par l’objet, nul coin n’est disponible pour dire ‘je'” (Oeuvres complètes, vol. 6/2 [cahier 5], p. 251)—”Perfect joy excludes even the feeling of joy, because in the soul filled with its object no corner remains in which it’s possible to say ‘I. '” I hope it’s neither ingratitude nor pride to endorse this, and to seek it. It’s interesting to think about how further disagreement on this, if Hawksley and I really have any, might be pursued. I suppose it would be like this: we’d look closely together at the order of the liturgy (daily, weekly, yearly), and at the signals within that order spread out through time, and within particular quotidian and repeated celebrations (different things would need to be attended to when thinking about liturgical celebrations done only once in the life of a Christian), of the meaning and purpose of repetition. And then we’d explore whether and to what extent those signals suggest movement with a telos of the kind I’ve suggested. That wouldn’t be an easy enterprise, and is unlikely to produce a rapid conclusion, but it’s one I’d like to pursue. PAUL GRIFFITHS IS A patient theologian. I don’t intend to make any special claim about his character with this statement, though in point of fact I’ve always known him to be very generous as a teacher, happy to follow a student’s line of questioning through to the end no matter how unpromising it may seem. Rather, I mean to say that in his writing Griffiths is exemplary of the patience needed to carry out at least one conception of the theological task, that of ordered discourse about the LORD.1 With unflagging precision, he lays out the presuppositions and entailments of the theological claims he is making, and presents their systematic interlacing; he is careful to note where the church has spoken on various theological matters, and the degree of authority with which it has done so; and he presents the endpoints of his arguments not as conclusions that ought to be accepted by all rationally or morally well-formed readers, but as offerings to be debated and very possibly rejected in coming years or generations. There are very few threads left unpulled in Decreation, leading to extended treatments of timespace, angels, and inanimate material beings. All these features indicate the work of a theologian in no hurry, not rushing under the weight of a felt need to solve some pressing issue in contemporary Christian thought or practice, not compelled by the need to make a difference. I very much want theologians who feel these pressing tasks, who give the church resources for confronting the problems now facing it; but I also wish there were many more theologians like Griffiths, theologians liberated to follow seemingly marginal questions in theology by the recognition that none of us can predict or secure the effects that our words may have—and that, in fact, it is not the job of the theologian to be concerned with these effects. It’s only a short distance from here to one more sense of what it might mean to be a patient theologian: following the etymology of patiens in the verb patior—to suffer or endure—we should note that Griffiths is alive to the error and self-deception that enters in whenever we try to seek the LORD with intellects wounded by sin. The patient theologian, then, is one who laments the fragmentary quality of our knowledge of the LORD, who seeks out guidance and correction by others, and who tries always to keep one’s attention focused on where reason gives out in our attempts to know. Here again, Griffiths has much to teach. In this response, I would like to focus on three questions raised for me by Decreation: first, the status of the interpretive task within Griffiths’ project, and especially the question of whether Griffiths’ own account of interpretation should be considered a speculation;2 second, a thread that it seems to me Griffiths has not pulled in this book, the question of whether there is a hierarchy of beatitude among the saints in heaven; and finally, a question about whether Griffiths’ arguments in favor of the resurrection of nonhuman animals may double as an argument for universalism. There are, no doubt, a slew of interesting quarrels to pick with Decreation. Because of the consistency of Griffiths’ thought, many of the most interesting of these will be challenges to his system as a whole—attempts to argue against his thought from different presuppositions than the ones he holds, which thus attempt to construct an alternative picture of the last things, and to convince the reader that the alternative picture is more beautiful on the whole than the one Griffiths presents. Because I share most of Griffiths’ theological starting-points,3 I will argue on grounds largely internal to the project, accepting his general methodology and views on the LORD and creation presented within Decreation. As Griffiths goes about the work of interpretation throughout Decreation, a clear pattern emerges that further specifies how he envisions this task: interpretation does not primarily involve an attempt to recover the intentions of those who crafted a doctrinal definition, but rather aims to mark out the minimal set of claims to which the theologian is necessarily committed by any particular doctrinal definition when it is situated within the broader context of magisterial teaching. So, in the example Griffiths gives above, the theologian is committed to there being something that the word caro picks out as capable of resurrection, but in itself, does not specify what that might be. Some options will be closed off by other magisterial teachings that mention caro, but we can expect that a fairly wide range of options will remain open. The question I wish to pose, however, is this: should we consider this interpretative method undergirding so much of Griffiths’ speculation the disposition that all faithful Catholic theologians should hold toward magisterial teaching, or is this way of reading magisterial texts itself a speculative proposal? To be clear, I am not asking whether theology should begin with the tasks of investigation of magisterial teaching, but whether Griffiths thinks that his approach to interpreting magisterial teaching—restricting assent only to what can be required by the “legitimate sense of the words”—is the only fully Catholic one. Griffiths presents no magisterial texts telling us that we should treat doctrinal definitions in this way, though such texts may indeed exist (I am far from an expert on these matters). Another possibility is that there are compelling philosophical grounds, perhaps in the philosophy of language, for restricting the binding force of magisterial teaching to the texts of doctrinal definitions. Or perhaps there are properly theological reasons for thinking this, rooted in an account of the nature of the LORD’s revelation to the church. The significance of this line of questioning can be brought out, I hope, by contrasting Griffiths’ position to the one presented by Lewis Ayres in the final chapter of Nicaea and Its Legacy. Ayres faults much contemporary theology precisely for its location of authority in the words of conciliar statements and definitions, without accompanying attention to the theological cultures (in this case, pro-Nicene) that generated these definitions. So Ayres: “I will be understanding pro-Nicene theology to be functioning as an authority when its basic principles are treated as a foundation for subsequent theological reflection and its theologians as a constant point of departure in the articulation of Trinitarian belief in subsequent periods and cultural contexts.”8 It is perhaps ironic that Griffiths and Ayres, both deeply rooted in Augustine’s thought, would agree (I suspect) on most matters directly related to Trinitarian theology, and the necessity of maintaining many aspects of the pro-Nicene culture of the fourth and fifth centuries that produced the Niceno-Constantinopolitan Creed (deep engagement with the text of Scripture, contemplative epistemic reserve, etc.). Nevertheless, Ayres’ argument about what is authoritative in past generations of Christian doctrine seems to push against some aspects of Griffiths’ argument, and could be pushed into periods beyond those in which Ayres is most interested. What, for example, are the thought-forms or features of theological culture that produced Benedictus Deus? My sense is that attention to the theological culture of Late Medieval France and its representation of the general resurrection would push against the indeterminacy Griffiths finds in the phrase omnes homines.9 If Griffiths’ approach to interpreting magisterial texts is regarded as a speculation on Catholic theological methodology, an approach like Ayres’ that attends to theological culture in interpreting authoritative doctrinal definitions remains possible. Is such an account possible? And if it is, why should we regard Griffiths’ speculative methodology, the presumption of linguistic indeterminacy, as superior to other approaches? Second, let me raise a question about a theological tradition concerning last things that Griffiths does not deal with in an extended way in Decreation, the question of a hierarchy or gradation even among those in a state of beatitude. These considerations are not totally absent from Griffiths’ book: it is clear both that all difference is not obliterated in paradise, and that such difference is rooted in the earthly histories that have brought heaven’s occupants to this degree of intimacy with the LORD. Griffiths writes of our retaining “a style signature that is the habit of being by which we can be recognized”;10 and his depiction of heaven as a time in which “the resurrected saints and angels are congregated around the assumed flesh of Mary and the ascended flesh of Christ”11 at least indicates a distinction between the manner in which Mary inhabits heaven and the manner in which the rest of the saints do. Beyond this, however, we receive little explicit discussion of differentiation among the saints. In the same vein, the supplement to part 3 of the Summa Theologiae has St. Thomas Aquinas saying that the mansions referred to by Christ are “degrees of beatitude”14; and in Question 96 of the supplement to part 3, Thomas determines that additional rewards (aureolae or “crowns”) are given to virgins, martyrs, and those who preach or teach. Similarly, while it is important to note that Dante’s Commedia does not properly speak of novissima inasmuch as it represents states of affairs prior to the Last Judgment, the eschatological picture he presents there suggests a significant amount of stratification in the blessed life. These texts raise a number of questions seemingly not answered in Decreation, among which: is it coherent to think that the beatific life of the saints might be ordered by different grades of merit? How might such differences be represented within Griffiths’ view of heaven—will the metaphors of proximity or orientation that he tends to favor serve for this purpose? Are there particular features of one’s earthly life that we should identify as meriting these crowns? Do virginity, martyrdom, and teaching or preaching mark out particular features of earthly lives that bring with them such rewards, and if so, why are these distinguished from (all?) other features of one’s pre-eschatological career? Are these the only such features of life that merit crowns, as Thomas believes? Are the eschatological lives of angels and nonhuman animals similarly distinguishable in degrees of beatitude? Can Griffiths’ account of the attenuation of self-experience be harmonized with Augustine’s words above, in which it is precisely experiencing the reward of another as “not mine” that allows one to rejoice in it properly? Even were Griffiths to wish to reject this sort of differentiated beatitude, something that would be theologically licit if this tradition is to be understood as speculative rather than properly doctrinal, it is worth noting that other parallel points in Decreation see him taking great care to argue for the strengths of his own position against others rooted deeply in the theological tradition (e.g., hell as everlasting punishment, the general resurrection including the bodies of those to be damned, etc.). Schleiermacher, of course, argues along very different lines than Griffiths here, suggesting that it is the presence (or even memory) of the damned that would disrupt the beatitude of the blessed, and thus indicating to us that the bonds of affection obtaining between the damned and the blessed will eventually be bring the former to the state of the latter. With only a little tweaking, though, the following (more Griffithsian) picture emerges: our relations with one another are, throughout our lives, characterized by the attempt of each to dominate the other. Each one of our interactions is compromised by our wickedness, and so we find ourselves implicated in a long history of trespasses committed and suffered. Purgation and the resurrection to life, in turn, properly order our loves to God and our neighbor, and bring our relations with one another to their proper perfection. Yet if those we have wronged and who have wronged us have come to nothing, such perfected relations are impossible; it is thus constituent to our beatitude that we enjoy perfect relations with all those we have wronged or who have wronged us throughout our lives. It is a particularly interesting feature of this argument that, just as for nonhuman animals, an individual human’s having reached her desired end of annihilation does nothing to remove the possibility of her resurrection to life—she may be recalled to life even after having come to nothing. And here we see also one of the quirks of our mode of generation (in contradistinction from the angels) come to new significance: because human creatures cannot exist apart from relations of procreation and birth with other human creatures, and because none of them may survive at all without some good or ill being done to them by another human, every human creature that has ever existed has either wronged or been wronged by some other person. The transfiguring of our broken relationships with one another seems to require that all human persons be resurrected to life, thus rendering “the kind of animal we are” an inherently and capaciously social one (or at least, so the argument goes; I follow Griffiths in finding an argument of this form suggestive, while desiring to retain a strong eschatological reserve). If one lesson of the garden of Eden is that we do not sin alone, but with and against one another, perhaps we will be surprised to find that this same fact saves us. I find Joe Lenow’s thoughtful and detailed attention to two questions directly raised by Decreation, and a third not explicitly raised there, extraordinarily suggestive. What he writes gives the most important gift that any theologian can receive, which is that of theological thoughts (s)he would otherwise not have had. It would be excessive to respond in detail to everything Lenow raises, so I’ll comment briefly on one of his points only, namely, the question about the status of the theological method I practise and prefer. We may perhaps be able to pursue his other two questions, about hierarchies of holiness in heaven and about universalism, in another discussion. The question about interpretation is “whether Griffiths thinks that his approach to interpreting magisterial teaching . . . is the only fully Catholic one.” Lenow rightly characterizes the method I prefer and deploy for interpreting magisterial texts as one that attends principally to surface meaning. That is, what I treat as binding, what carries magisterial weight for me, is words. So far as is possible (and it’s of course not completely possible) I prescind when interpreting magisterial texts from speculations about what the authors and/or compilers of those texts might have intended to communicate by the words they put together. I also eschew, so far as I can (though the lines here are even less bright), appeal to “features of theological culture” that might be taken to inform particular magisterial texts. What’s given me, as a Catholic theologian, to work with isn’t occult entities of this sort. Rather, it’s bodies of words, ordered collections of sentences, most often in Latin. It’s those that bear authority. That much, at least, is itself Catholic doctrine. How then to treat those words? What interpretive (Lenow prefers, as many do, “interpretative”—but why?) methods should, or may, be brought to bear on them by those who wish to do Catholic theology? I don’t think that there’s clear magisterial support for the conclusion that any particular interpretive method ought be applied to such texts, or that any ought be rejected. There are some suggestive magisterial comments about those matters, but they tend to be obiter dicta, and I won’t base what follows upon them, even though I do in fact think the way I read magisterial texts preferable for Catholic theologians to its principal competitors, and for several reasons. While none of these reasons is individually decisive, they collectively strongly suggestive that this is the right line to follow. First, there’s the simple point that the words which together constitute the body of magisterial texts are ordinarily available without too much difficulty. There’s not much dispute about what they are just because they’re easily available. That’s not the case for occult entities such as intentions and theological cultures. Those are hard to come by (they have to be imagined and constructed rather than found), and there’s much more dispute about what their content is than there is about which words belong to magisterial texts. I can much more easily tell which words belong to Benedictus Deus than I can which thoughts were in the head of Benedict XII as he was composing it, or which were the principal thought-forms of the theological culture of the early fourteenth century. Why not treat what’s there in front of the eyes rather than what isn’t? Second, and more disputably, I take it to be a generally-applicable theoretical point that neither the intentions of an author nor the forms of her intellectual culture exhaust what can legitimately be made by readers of the words of a text. No composer of texts has the kind of mastery over the language of what (s)he composes that would be necessary for such a constraint upon interpretation to be in place. This is still more true of magisterial texts, and in something like the same way that it is true of the words of Scripture. Both are composed, it is doctrine to say, under the guidance of the Spirit; and that gives the interpreter every reason to think that the texts are rich enough to provoke thought and comment and interpretation which vastly exceeds what authors may have thought they meant. That magisterial texts are authoritative is among the facts about them that supports the interpretive freedom the theologian has. Third, and most disputably, I take it that every interpretation of a text, magisterial or not, is a reading within a tradition of readings. Readings are themselves texts, text-provoked; they’re all commentaries of one kind or another, and what they comment on—are provoked by—is exactly the words of what they interpret. The telos of a reading is to produce more readings. Theological interpretation of magisterial texts is like this. So long as it takes the words of what it interprets seriously, and so long as it understands what it produces as speculative rather than dogmatical, there is maximal freedom with respect to the content of the reading. This is what makes (Catholic) theology so much fun. Thanks, Paul, for your generous comments and thoughtful response. Let me pick up where you’ve left off, on theology as fun. What you’ve written, both in Decreation and here, models what I’ve come to think of as a sort of playful anarchy—by accepting with the utmost seriousness the boundaries of magisterial teaching, you’re able to show that those boundaries are far wider and weirder than we might have thought. 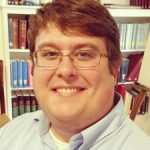 I find this thoroughly Catholic desire to scramble theological convention very attractive, and so find myself largely persuaded by the methodological defense you offer here (especially when coupled with a negative response to the question of whether a “surface meaning” approach to magisterial texts is the only licit one). In particular, the three detailed points you offer in your response seem completely right to me, and together mount a significant case for an approach like yours. I’m almost convinced; I certainly want to be convinced. But I have a lingering worry. You write, “what I treat as binding, what carries magisterial weight for me, is words”; and the set of such words, structured into sentences and varied in the degree of weight which they carry, is defined by the bishops of the Church. So far, our conversation has focused on the question of whether the process by which these words are defined as authoritative should itself be considered authoritative in constraining how they are interpreted. You offer a convincing (at least, to me) argument for attaching authority to words and sentences, but I wonder if there is more to say about the words themselves. Setting aside the question of what the authors of this world might have thought as they were writing them, what are we to make of the fact that God uses particular times, places, and people to give these words to the Church? My worry is that the account of authoritative words you have offered us does not incorporate the fact that the body of words defined as magisterial texts are always God’s gift mediated through other historical members of Christ’s body—and indeed, by those who may seem to us to be outside it. 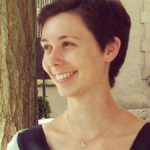 To use a word that Theodora Hawksley has already introduced into this conversation, how are we to express our gratitude both to God for using others to communicate knowledge of God to us, and to others for giving us a language for speaking of God? Without their histories, the words of magisterial teaching might lead us to see theology as a much more lonely enterprise than it should be. Gratitude is an expression of dependence or obligation, a mode of receiving that which is being praised as a gift, in this case a gift that allows one to see oneself and one’s relations to others and the world more clearly, that makes one more alive. As praise and gratitude, criticism educates us with respect to what attracts us and matters to us, teaching us to identify and attend to it. While it might seem in this passage that Roberts has in mind only a gentle form of criticism, he is clear elsewhere in Encountering Religion that he has in mind critique as radical and thoroughgoing as Foucauldian genealogy and Derridean deconstruction. Roberts suggests, then, that attending to the way the words we use have been given and mediated to us by others leads us to think of the relations that users of those words bore to one another and to the world around them—relations that, to a greater or lesser extent, will be marked by the wickedness that is ever-present in what you evocatively call the devastation. We might think of this stage of theological reflection as something like a methodological examination of conscience, trying to find the theological distortions of others that we might better see and correct our own errors. Ought not this too be a part of our discovery when we engage in the task of ascertaining which words the Church has identified as authoritative, in spite of the danger—in fact, the certainty—that these words will be used to harm others (as, to a greater or lesser extent, all language used by sinful persons will)? Seeking knowledge of this sort will not prevent us from using theological language to damage others—nothing can—but being alive to this danger, keeping it as a concern in our theological method, may help us avoid the errors of our forebears insofar as we can discern them, and chasten us with the knowledge that we are even now committing interpretative errors bound to harm others and be discovered by others in the future. Now, with his stunningly beautiful new text Decreation: The Last Things of All Creatures, Griffiths’ virtuosity in parsing the spaces within established Catholic doctrine that invite speculation on the part of the church’s theologians reaches new heights. Leaving aside for the moment the text’s explicit subject matter (a theological proposal concerning the nature of Christian hope for the “last things” of all that exists, from angels to humans to inanimate objects), Griffiths’ book can first be appreciated as a master class in how “ecclesiology preceding epistemology” impacts style of thinking through and through—from engagement with sources to explicit acknowledgment of when a matter falls under speculation rather than settled doctrine. As in past books, Griffiths’ key texts with which to think are magisterial documents (encyclicals, conciliar writings, etc.) as well as interventions from Augustine, Thomas Aquinas, and Pascal. I know of no other Catholic theologian who displays the level of sensitivity towards what is and is not defined within plain readings of magisterial texts as Griffiths, and his exegesis of Augustine and Thomas in particular is most compelling when he demurs from them in significant respects even while respecting their intended fidelity to orthodox teaching. Also significant about Griffiths’ method in the text is the rigor and elegance of his “lexical” approach. Now, to be sure, there’s nothing particularly unique about a theologian defining one’s terms early on and then remaining consistent in their deployment throughout the remainder of the text; indeed, any good theologian should do just that. Where Griffiths’ technique distinguishes itself is in the author’s sense of how the terms under consideration—e.g., “cosmos,” “devastation,” “flesh,” etc.—take their bearing not from logic first and foremost but rather from narrative: the church offers an account of the world that is more or less consistent in its essentials across period and context, and it is on the basis of that narrative that the speculative theologian can establish a kind of grammar for a given proposal that then governs the logic by which that proposal is unfolded. This approach avoids the periodic conceptual sloppiness which (to be frank) haunts much of what has gone under the banner of “narrative theology” precisely because of the analytic discipline Griffiths is able to bring to bear on the task of unfolding the inner logic (or better, “syntax”) of how the terms intersect. The book’s signature proposal—that annihilationism is not only an orthodox option for thinking about the nature of hell but is in fact superior to the more common depiction of hell as eternal punishment of enfleshed souls—is a case in point. In order for Griffiths to propose that his speculative proposal of hell as annihilation is ultimately “more beautiful and more fully articulated within the tradition’s deep grammar” (247) than, say, Augustine’s account of hell as eternal torment, he brings to a crescendo themes nascent in the unfolding of his lexicographic from the beginning: that pain is proper to the devastation and not God’s healed cosmos, that depictions of hell as unending enfleshed torment ascribe metronomic time to a sphere where it does not belong, that plain readings of magisterial texts on hell compel assent but not to the account of hell most commonly attributed to them, that rival accounts are equally speculative (if also faithful), etc. It is here, in what might be the text’s most controversial proposal (even though Griffiths is far from alone in his endorsement of annihilationism—indeed, perhaps more noteworthy in the contemporary theological scene is his demurral from unqualified universalism!) that Griffiths’ assertion that carrying out one’s theology within the bounds of established magisterial teaching actually frees the theologian for more daring speculation than might otherwise be the case. I highlight this moment of perceived contrast on Griffiths’ part between Catholic and Protestant theological method because it frames the question with which I would like to conclude this essay: if, as Griffiths suggest, theological proposals regarding last things are important at least in part because they teach us in this life what it might mean for us to order our loves so that we are receiving God’s gift of being shaped for citizenship in the company of saints and not achieving via the “long slog, done alone, by yourself and for yourself” (319) of our own damnation, then the question of the context by which such grace is received and such lives are formed becomes a crucial one not only for speculative theology but also for self-formation (or perhaps the “being formed” of selves). To elaborate: in the absence of a magisterium of the sort that Griffiths describes and to which Catholic theologians such as himself have recourse, then it is not exactly true that Protestant speculative (or “constructive,” to use the term more native to Protestant theological dialects) theologians have a heavy weight on their shoulders, if the implication is that they somehow are responsible for creating and upholding “paper churches,” to use Newman’s typology. Rather, the agon of the constructive theologian (certainly Protestant, but are Roman Catholics and Orthodox truly exempt?) is the marketplace, the intersection of church, academy, independent publishing outlets, cyberspace, and so on where theological ideas—as much as any—compete with each other for airtime and influence. Griffiths has written incisively about the marketplace as an agonistic realm for self-formation/de-formation in multiple works;3 and in the manner suggested above and recapitulated in Decreation, it is the space of the church as liturgical and teaching community that serves (not without enfleshed ambiguity within what Griffiths’ terms the “devastation” of fallen existence) as the bulwark against the most pernicious elements of the marketplace’s effect upon body and soul. The church as a space to which our bodies and actions might be “apprenticed” (to use a term from his book Lying) is the place where our bodies are habituated to/by the liturgy such that our souls are moved from preoccupation with the “inner theater” of our experience (which presumably includes the default setting of envisioning ourselves as the perpetual protagonists of our own unique narratives) to gradual acclimation of vision to focus on God. This sort of space, undergirded theologically by magisterial teaching as the authority by which the church opens up space for speculative delight that (at its best) furthers the church’s formation of saints, is what Protestants qua Protestants do not have available to them, at least not in as explicit and robust a configuration. As a Protestant myself, I find myself wholly uninclined to push back against the outlines of this problematic. I think that the more fruitful route for Protestants appreciative of the call of Griffiths’ vision to consider speculation about the last things to be an aid to the task of ordering our lives and loves in such a way that we allow God’s grace to form us for heaven is rather to take on the challenge on two fronts. The first would be to follow the ecumenical impulses present in the most ecclesially coherent Protestant bodies (as well as the Roman Catholic Church, outlined especially in John Paul II’s Ut Unum Sint) and recognize, employing Decreation’s terminology, that surely the division of the churches in our time is its own kind of capitulation to the devastation. That is not to say that division itself is sinful or even deleterious without remainder; it may be (and I have argued elsewhere that it is) the most honest and contextually faithful response to the fragmentation of teaching authority characteristic of this present age. But contentment or triumphalism that eschews ecumenism for ecclesial insularity is surely a mistake if the eschatological implications of the church’s role in forming us are as weighty as Griffiths’ text portrays. The second would be for Protestants to take on the challenge of continuing to identify and limn the spaces of redemptive shaping that the gospel creates within the devastation, and to theologize as well as we can (and indeed inspired by and in collaboration with our Roman Catholic and Orthodox brethren) about how the embodied truth of these spaces shapes us for our novissima in God. I have no way of knowing whether the following tale is true or apocryphal, but I well remember a literature professor of mine, upon the conclusion of our class’ discussion of the William Carlos Williams short story The Use of Force, recounting the story of how admirers would come to visit Williams at his farm towards the end of his life. Occasionally, visitors would find Williams roaming the property with his hands making a series of gestures in the air, seemingly unbeknownst to Williams himself (who was a stroke victim). It was only after his visitors called to mind the fact that, in his lengthy career as a doctor who made house calls near Rutherford, he had reputedly delivered some two thousand babies that they realized that his hands were repeating the gestures of a doctor carrying out a delivery. As his inner theater began to quiet and fail, his flesh bore the vocational formation that had (we might speculate) stamped his soul. No Christian of any stripe should shrink from the task of finding and placing our bodies in the spaces within God’s creation that will so mark our flesh and souls in preparation for the day when the time that kills our bodies is overcome. Robert Saler’s comments are generous and accurate. I’m grateful for them, and especially for his response to my suggestion about the difference between the Catholic and Protestant understandings of the work of the theologian. I’m in complete agreement with his thought that the division of the churches under which we labor is at once a cause for lament and an opportunity for a “contextually faithful response to the fragmentation of teaching authority characteristic of this present age.” Rather more dramatically, it’s a fault and a horror that involves some providential goods, among which are that Protestants and Catholics can learn from watching each other do theology, and that we can and must permit ourselves to be shaped by the goods of the ecclesial settings in which we find ourselves. The story Saler tells about William Carlos Williams is an apt illustration of this, and I’m especially glad that he links it to the darkening of the inner-theatrical lights. I’ve a question for him, though. He’s right that the pressures of the market shape all theologians, Catholic and Protestant. We cannot escape them, and the weight of them is heavy. What, apart from allowing ourselves to be formed by the liturgy in the company of the saints, are our best means of responding to and resisting those pressures? One that occurs to me, relevant especially to theologians, creatures of words as we are and obsessive producers of them, is to eschew publication, or at least publication under our own names. Once, in the Christian world, writing and publication were often done anonymously, pseudonymously, or under the name of someone other than oneself. This practice is evident even in the canon of Scripture, and is widespread in the long tradition. Even for us, anonymous publication was common until recently in the broader pagan culture. I’m old enough to recall the (London) Times Literary Supplement‘s transition from anonymous to bylined reviews; and the Economist still—perhaps alone among large-circulation magazines—publishes most of its pieces anonymously. Mostly, though, we’ve given it up, and have done so because of the market. Anonymous and pseudonymous publication are now difficult, and publishing under the name of (for instance) St. Paul or St. Augustine would seem to most of us to fall somewhere between the crazy and the immoral. But might not recovering such practices exactly be a mode of theological resistance to the market? Might they not be something that Catholics and Protestants can join in doing? And might they not also help us to return theology—that desperately inadequate human enterprise—to the LORD with whom it tries to foster and express cognitive intimacy? I AGREED TO RESPOND to Paul’s book, Decreation: The Last Things of All Creatures, before having read a word of it. Although I am far from regretting this decision, now that I have more than just an anticipation of the book’s finely wrought distinctions and exhilarating flights of speculation, I am reminded, somewhat uncomfortably, of the conceit that lies at the heart of this kind of reviewing. I have been paying visits to Decreation, on and off, for maybe a couple of months; Paul has been thinking and refining the thoughts of Decreation for years, likely decades. I feel like someone who has been invited to head directly to a lavish and exquisitely prepared banquet, but the day is Sunday and all the food-markets along the way are closed, except for the Quickie Mart at the filling station, where food and fuel live in unsettling proximity, and so all I have to bring, as a guest offering, is a hastily bought bag of potato chips—and not even the low-in-sodium “guiltless” kind. I don’t intend to lean heavily on this simile. My aim is not, after all, to relinquish my responsibility for bringing a considered and collegial response to the table and not just a bag of salty chips (or its verbal equivalent). But let’s at least be clear about what the conceit is here. It is not that I have spent the last ten years or so poring over the pages of Decreation (I haven’t, but, in my defense, the book did come out in 2014); no, the real conceit has to do with the utility of my presumptive background knowledge in philosophy and theology. Given all the years, the decades, that I have worked to understand Augustine’s theological vision and its invitation to my sometimes spiritless philosophy, surely I must have deep thoughts about last things. For if Augustine is not a profoundly eschatological thinker, who is? But I can assure you (if assurance is the appropriate notion here) that I do not have deep thoughts to share about last things, that I barely know how to think about them at all, even superficially, and that this is due neither to a lapse on Augustine’s part nor to my lamentable inattention to his insights. It is not for trivial or accidental reasons that I find myself so inarticulate here. The inarticulacy comes with the territory. When Paul wants to refer most generally to a last thing, he prefers the Latin, novissimum, to the Greek term it normally translates, eschaton. As the superlative form of novum, “a new thing,” a novissimum is a thing in its newest condition. While newness often connotes flourishing, as in a renewal or a rebirth, here the meaning is more restricted and exact: a novissimum is a being that is in its last or final state, a condition, whether good or bad, that admits of no further novelty. In its properly restricted sense, a novissimum is indeed an eschaton, “a last or final thing.” Paul avoids using that term, not because eschaton fails to denote a last thing, but because of its placement within the history of eschatological thinking, where the concern has been as much with signs of last things, the omens that portend a final reckoning, as with the things themselves. (Given that take on the history, Augustine isn’t a very committed eschatologist.) Paul’s steady focus throughout Decreation is on what the last things are, differentiated according to kind: angels, humans, plants, animals, and inanimate creatures. For the sake of a manageable engagement with his efforts, I will restrict my attention for the most part to the human case. Human beings, made in the image and likeness of God, admit of two possible ends: the inglorious end of utter separation from the Creator, irreversible and without hope of amelioration (hell), and the glorious end of unending and perfected loving communion, free of the faintest specter of sin (heaven). The speculative daring of Decreation, which invites its readers to venture conceptually into the timespace of discarnate and alternatively fleshed beings, depends surprisingly little on leaps of the imagination. Its driving force is that of a judiciously articulated theological grammar, one that ideally extends the form of theological thinking well beyond the limits of material content. So while we may not be able to say, content-wise, what it is like to have immortal flesh (we simply have no feel for it), we can say, form-wise, that immortal flesh does not age, sicken, or come with the need to consume food and eliminate waste. The grammar that allows us a formal extension to our thinking, even into the exotica of last things, consists most basically, Paul reminds us (1), of a set of clearly defined concepts (a lexicon) and principled ways to arrange these concepts to form greater units of intelligibility (a syntax). In practice, the lexical and syntactical features of a living grammar tend to bleed into one another. The grammar that Paul uses to elaborate Christian doctrine about the last things is living, and, as such, it cannot without violence be wholly abstracted from the dialectical practices of those who use the grammar, mostly implicitly, to share a form of life. Even if I had all the time in the world, I could not put Paul’s theological grammar on full display; it is not the plaything of argument, and it is not, by any stretch of the imagination, just Paul’s. On the other hand, there is nothing wrong and, one hopes, something even a bit salutary about a grammatical self-consciousness that remains open to the unscripted possibilities of the Word. Then there is the ensemble of all the creatures, whose adorned totality Paul refers to as “cosmos,” a thing of beauty. This ensemble, taken together with its Creator, is all there is to what there is. And yet there is also the “world” or, more descriptively, the “devastation”; Paul uses either of these terms to designate the sin-devastated cosmos, still harboring traces of its original beauty, but for the most part being what it appears to be (4): “a charnel house, saturated in blood violently shed; an ensemble of inanimate creatures decaying toward extinction; a theater of vice and cruelty.” If the conjunction of Creator and cosmos is already exhaustive of what is, then the world adds nothing further to the picture; evil is emphatically not a new form of being. But it surely looks as if something has been removed from the picture, once sin, the double artifact of angelic and human perversity, has done its devastating work. Paul, I don’t think, would put it this way, but I will. The world, when set in cosmic context, where it seems so diminished, exposes the imperfection in the original creation, or better, our conception of it. I refer, of course, to the awful vulnerability of the cosmos to the irrational preference of some penultimate beings (bad angels, delinquent adams) for nothingness. It’s as if creation ex nihilo doesn’t quite take in the whole of creation, at least not at first. And so while “heaven” in the lexicon of last things is certainly, as Paul defines it, a permanent restoration, in that something diseased gets definitively healed, it is also, and more fundamentally, as Paul would not be inclined to define it, the original perfection itself, thanks to a final novelty. There are now only last things. In the timespace of heaven, the penultimate agents who once rendered time into such a dicey proposition will have either perfected their sin and absented themselves from the scene, or they will have been given the grace to see through nothingness and become one with their love of God. Belief in immorality is harmful because it is not in our power to conceive of the soul as really incorporeal. So this belief is in fact a belief in the prolongation of life, and it robs death of its purpose. My only hesitation about Craufurd’s translation is her decision to translate ôte l’usage de la mort as “robs death of its purpose,” a choice that effectively veils the presence of usage in the original. For Weil, “use” has a life as a theological term of art. If the thing to be used is sin—or in this case, a death that is inextricably bound to sin—then no good will come of a solo human usage, but only further corruption; it is God alone, the LORD, who can make good use of evil and, in so doing, fold creaturely perversity wholly within the nothingness that it seeks. If we put the two parts of Weil’s aphorism together, it seems to me that she is suggesting something like this: we cling desperately to the selves that we imagine ourselves to be and thus hate death, the great solvent; when we indulge the thought, in the teeth of this hate, that some part of us never dies, some ghostly but still corporeal self-image, we omit ourselves from the usage of death that God offers us: a means of release from a faithless imagination. The ego that sin cobbles together from the wastelands of fear and disaffection is less an illusion, or something wholly imagined, than matter for sacrifice. Such a sacrifice, when rendered acceptable to God, is the decreation to which Weil refers, and it never takes place other than in the divine presence and so deep within the connective tissue of being. Another word for decreation is forgiveness. In book 12 of the Confessions—a book I have only recently really begun to appreciate—Augustine struggles to extend his imagination into the conceptual space that a well-formed theological grammar has been opening for him. I mean in particular the grammar of creation itself, keyed to the doctrine of God as creator ex nihilo. The surface grammar of this doctrine invites us to think of nothingness, the nihilum, as having a quasi-material content; it is the pseudo-stuff out of which God shapes a form of being that is not-God and not-nothing, but something inconceivably in-between. The depth grammar encourages us to resist this tempting reduction of matter to nothingness and to retain form and content as equally essential elements of a timelessly creative act. When Augustine struggles not to subsume matter under form and finds himself clinging precariously to halfway-house notions, like that of a “nothing something” (nihil aliquid) or a “not-being kind of be” (est non est), he has, in effect, begun to breach the depths (conf. 12.6.6). The purest form of matter, forever uninformed, Augustine will come to think of as mutability itself (mutabilitas)—a fundamental capacity for change, to be sure, but more tellingly, a receptivity to what is different. Augustine is prepared to find mutabilitas in the caelum caeli itself, the heaven of heaven, or what Paul simply calls heaven, but that magnificent last thing, Augustine insists, “will at no time or place live out its mutability” (conf. 12.11.12). Or, in Paul’s language, life in heaven is repetitively static. I confess that for many years this picture of perpetual peace, the peace of heaven, has seemed grossly unappealing to me. For what is a capacity for change that is forever contained if not evidence of a profoundly tyrannical will, locking essentially mutable beings into an alien perfection? The problem here, of course, is not that God is actually a tyrant, but that I have trouble thinking of power other than as an imposition of some sort. That makes for a debased mutability. Matters don’t improve for me until I start to notice that mutabilitas, in its pure offering, appears elsewhere in the Confessions, and in a less speculative context. It was a marvel to me that I loved you already and not some phantom in your stead. But I was not stable in my enjoyment; I was caught up by your beauty and just as soon torn away from you by my weight. I crashed with a groan into lesser things. That weight: it was my habit for flesh. Forgiveness may first announce itself as the ecstatic release from a burdensome persona, but it requires, for its unfolding, a reeducation of habit: “Put on Jesus Christ, the LORD, and don’t look to lusts to care for your flesh” (conf. 8.12.29; Rom 13:14). The path here is as much a reckoning with losses as it is a labor of new life. As a gesture toward the timespace of last things, Paul, taking his cue from St. Paul (1 Cor 7:29), speaks of systolic time, or time that regularly contracts, like a heart, to release life-giving love. The antithesis of systolic time is what Paul calls the time of the metronome: the regularity here, dismally measurable, punctuates the movement of a broken-hearted cosmos toward decay, dissolution, and death. But as I have been trying to say, in so many words, I cannot wrap my head—or my heart—around this kind of contrast (perhaps my imagination is just too corrupt). I need the reminder from metronomic time, not so much that time is measurable (ultimately it is not), but that time, being mortgaged to the no longer and the not yet, is a tendency, my tendency, everything’s tendency, not to exist. And in as much as I have a sense of the time that folds back upon itself and contracts, like a crouched heart, I am moved, like Augustine before me, to abandon my bad-faith perfectionism about last things and return to the rough ground of forgiveness, where a tendency not to exist is not always such a bad thing. My thanks are due Jim Wetzel for his tasty bag of chips. He’s modest about them, and his modesty shows something fundamental about the limits of my own enterprise. He manages in few words to say something that goes to the center of what I’ve written, and turns it inside out. I’m glad that Wetzel ferreted out and made good use of the roots of my book’s title in Simone Weil’s thought. As he says, the word decreation (or décréation) wasn’t her coinage (its lineage is complex), but she made distinctive use of it and it was from her that I learned it first, about thirty years ago, and was both struck and puzzled by it, as Wetzel appears also to have been. My book’s first draft had a lengthy discussion of the idea by way of engagement with Weil, and that’s why I wanted to title it Decreation. But the work on and with Weil, formative though it was for my thinking about these things (I was reading and thinking about her for most of 2011, during a Chicago spring and summer, and she is now inseparable for me from Mies van der Rohe and the humming lakeshore of one of the world’s most beautiful cities), began to seem out of place in the book as it developed, and I excised it, perhaps for later use. But the title remains, and the epigraph signals its lineage. Wetzel’s restatement of what decreation means to Weil—a sacrifice to the LORD of our sense of ourselves which amounts to a reception of forgiveness “deep within the connective tissue of being”—is lovely and right, and more profound than I could manage. His connection of this to Augustine’s meditation on creation in book 12 of the Confessions is also very suggestive. If mutability is the purest form of matter, as Augustine there suggests, and if, as his vision in book 7 of the same work suggests, he is already, and not yet, a lover of the LORD, then perhaps—no, not perhaps; certainly—my distinction between metronomic and systolic time, deathtime and lifetime, is too sharply drawn. Wetzel shows me that I am not Wittgensteinean enough; that if forgiveness can only be received under the sign of mutability, then a too-rapid absorption into the systole—and maybe also a too-vehement advocacy of the systole—undercuts, or might, the metronomic reminders we all need, and even the very possibility of forgiveness. He’s right, I think. But I doubt that I can write or think differently about these things as a result of acknowledging his rightness. Temperamentally, I think contrastively, usually polemically, and often, therefore, in exaggeratedly broad strokes. None of that is particularly virtuous; it’s the result of both formation and temperament. It means that in Decreation, as often elsewhere, I’m run away with by a speculative vision so far and so fast that the rough ground from which I began and on which I (necessarily) walk vanishes before my horizon-fixated eye. I’m grateful to Wetzel for helping me to see this, and to see the flavor and texture of it in this particular case.